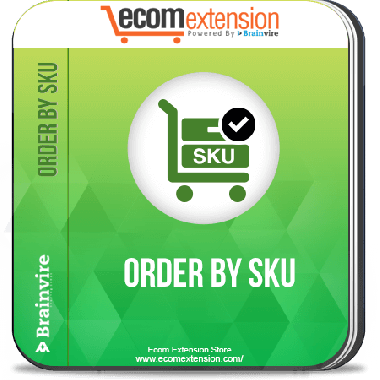 One of the best ways to order the products online easily and quickly is with the help of Magento Order by SKU extension. It lets you add the items in the cart by their SKU. 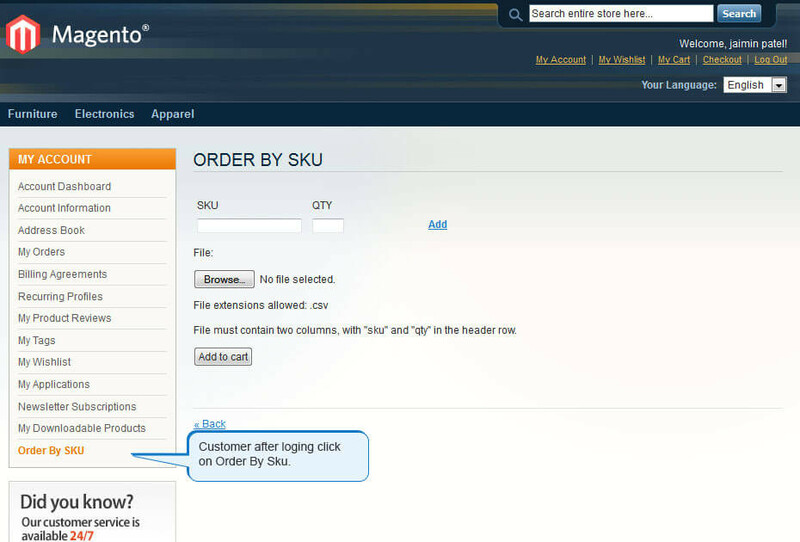 Magento Order by SKU extension helps you search the products and add them to cart quickly. If you just start typing the SKU of your desired product in the search text box, it will give you suggestions of the product. 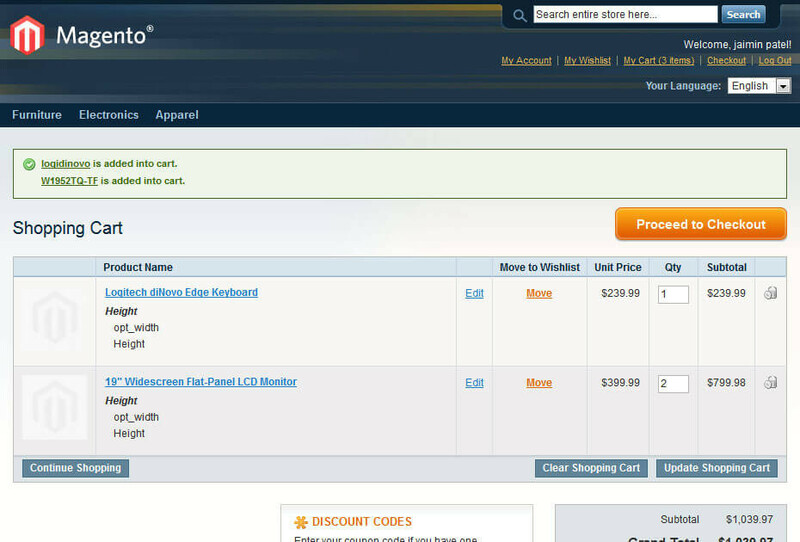 All you need to do is select the desired product, write the quantity and click on the ‘add to cart’ button’. 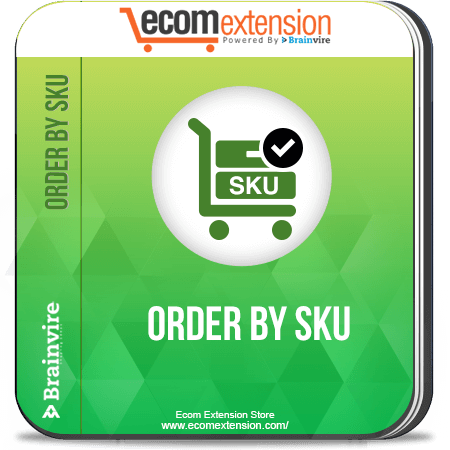 Order by SKU extension is one of the most user friendly ways of adding the known products to cart. If you have got a printed brochure with you, you can just add the SKU and place the order in no time. 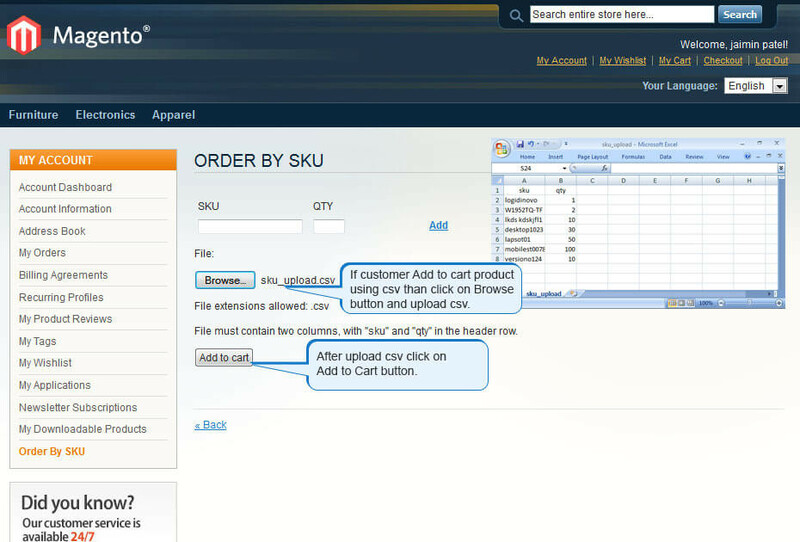 You can add multiple products with the help of the CSV. Can add multiple items to cart in just a few clicks by adding CSV file which contains SKU and quantity of the product. Shows SKU, name of the product, quantity as well as the price. Supports simple, virtual and downloadable products.